The Easter Rising collection documents the events that would eventually lead to the start of the Irish Republic. Virtually everyone who lived in Ireland's larger cities, and even some smaller towns, was affected by the Rising. 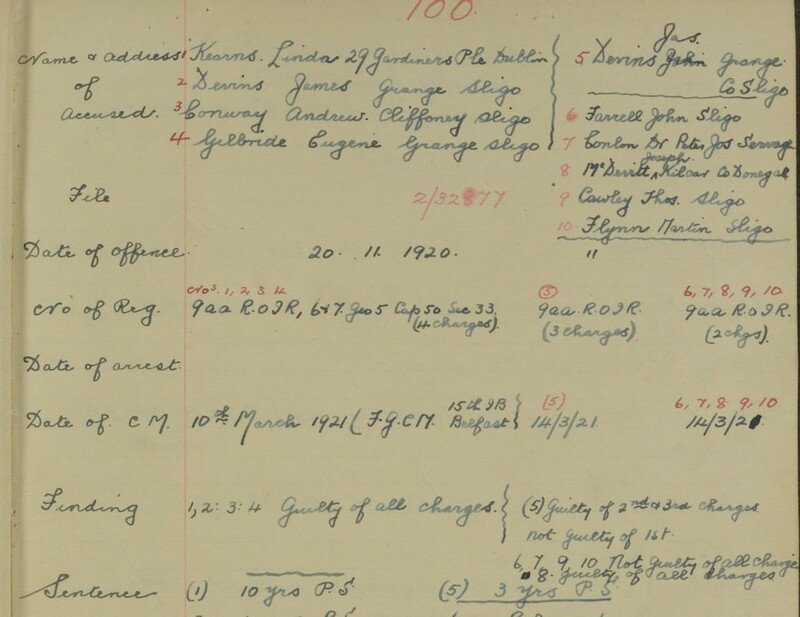 Of the thousands of names collected in these previously confidential War Office records, including search and raid reports, court martial registers, and prison interments, a number of women made appearances both aiding and fighting the rebel forces. Born in London to an Anglo-Irish landlord, Constance Georgina Gore-Booth became the first woman to be elected into the British House of Commons when she became a TD in the 1918 election. 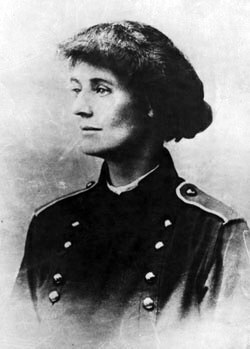 During the Rising, Constance was a Lieutenant of the Irish Citizen Army before she was arrested in December 1920 as a member of Fianna Eireann, who were accused of assisting and promoting crime and murder. She was sentenced to two years in prison. 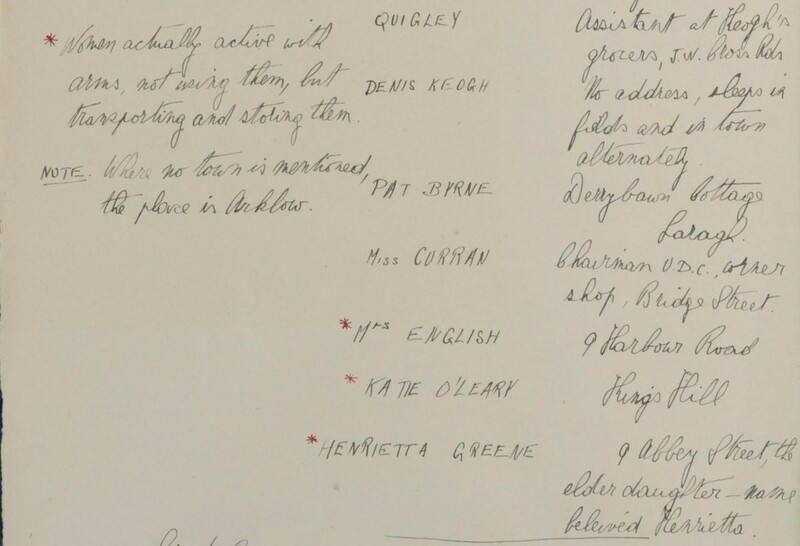 One record reveals a list of suspects in Arklow, including the names of several women. It notes: 'Women actually active with arms, not using them, but transporting and storing them'. 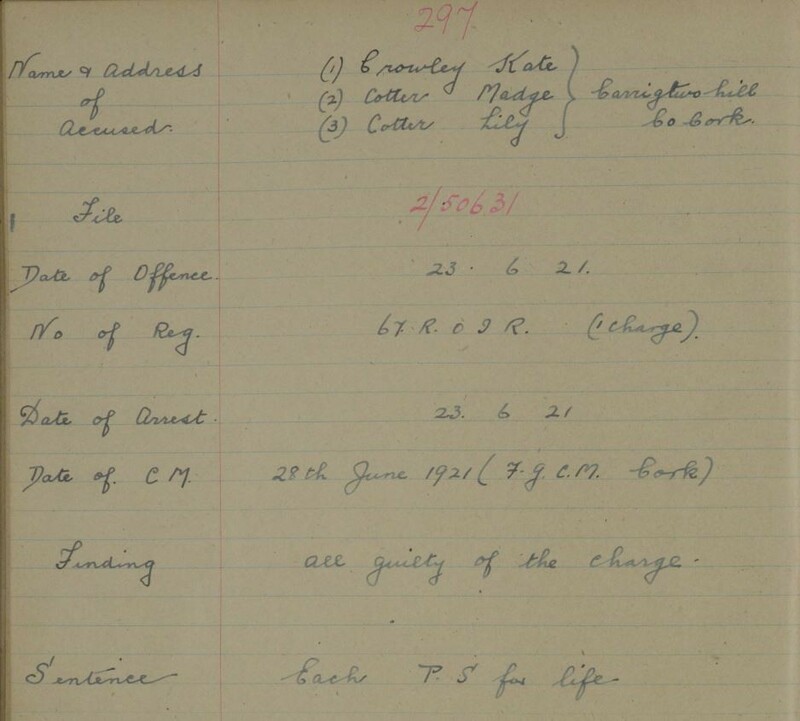 On 23 June 1921, Lily and Madge Cotter were sentenced to prison with Kate Crowley for the intent to murder. When a military party was travelling from Queenstown to Cork a landmine exploded. The three women were found near the site heading away from a farmhouse which contained a battery. During the Easter Rising , nurse Linda Kearns opened a makeshift hospital to treat wounded people from both sides. Because she agreed to treat members of the Republican rebels, the British Army ordered it to be shut down. Linda was driving a vehicle that was stopped on 20 November 1920. Pistols, revolvers, ammunition, handcuffs, a waistbelt and other arms belonging to the Royal Irish Constabulary were found inside. She was arrested with 9 men and received 10 years' prison time, the longest sentence of any woman court martialed. 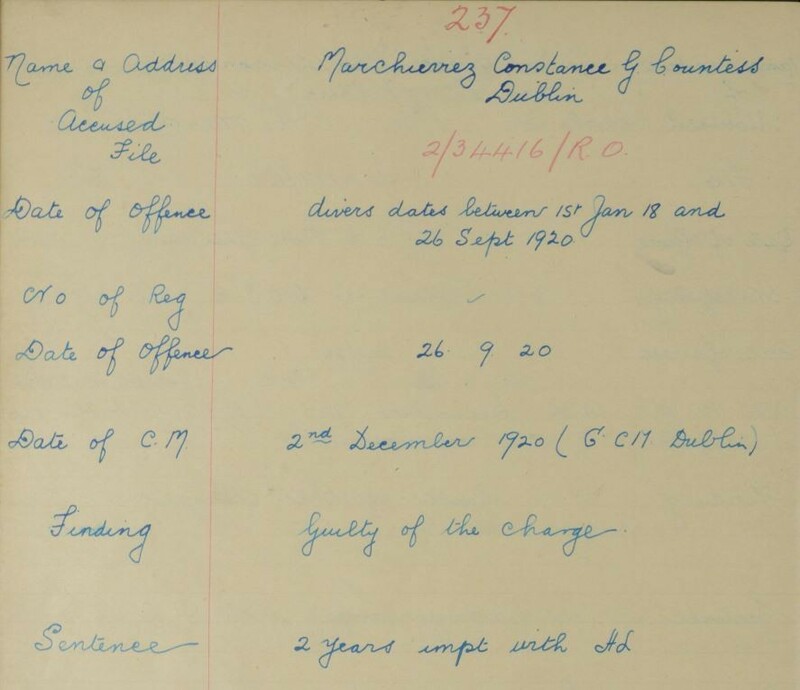 Details of Kearn's case recorded in the series "Civilians tried by court-martial, 1920-1922"
The records also show that on 29 October 1921, Linda Kearns escaped from Mountjoy Prison. Fumbally's Lane in Dublin was the heart of Dublin's brewing and distilling industries. During the Rising, it was an area of fierce resistance to the rebels by the locals, many of whom had family who were away fighting in World War 1. Eleanor Warbrook was killed on Easter Monday, 1916. Allegedly, Eleanor was shot by a volunteer from Jacob's biscuit factory as she raised a stick to hit a rebel volunteer. She later died at Meath Hospital. She was 15 years old. The Easter Rising collection is unlike any other available on Findmypast. Rather than a set of records of individuals, each document contains rich details of events that took place leading up to the forming of the Irish Republic, a turning point in both Irish and world history. These previously confidential documents contain fascinating and heartbreaking records both of those active in the fighting and those tragically caught in the cross fire, including men, women and children. 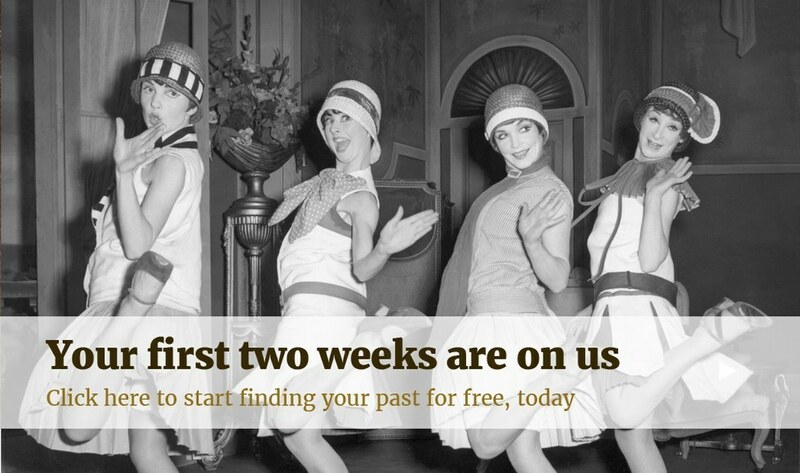 Learn how to search this ground-breaking collection, or discover more of the incredible stories contained in these records.